Condition of the liner following the trial to assess the performance of Mobilgard 5100 in a new generation MAN engine. Mobilgard 5100 provided good corrosion protection and outstanding engine cleanliness throughout the trial period, with the engine running on fuel with a sulfur content from 2.5-3.1%. ExxonMobil Marine Fuels & Lubricants launched Mobilgard 5100, a specially formulated cylinder oil designed to mitigate the effects of cold corrosion in new design two-stroke marine engines operating on heavy fuel oil. Mobilgard 5100 joins Mobilgard 560 VS and Mobilgard 570 as the latest addition to ExxonMobil’s range of cylinder oils. ExxonMobil created Mobilgard 5100, a 100 BN cylinder oil, which has been formulated to address the problem of cold corrosion which occurs when the engine’s cylinders operate at conditions below the acid dew point, creating the potential to cause significant liner wear. 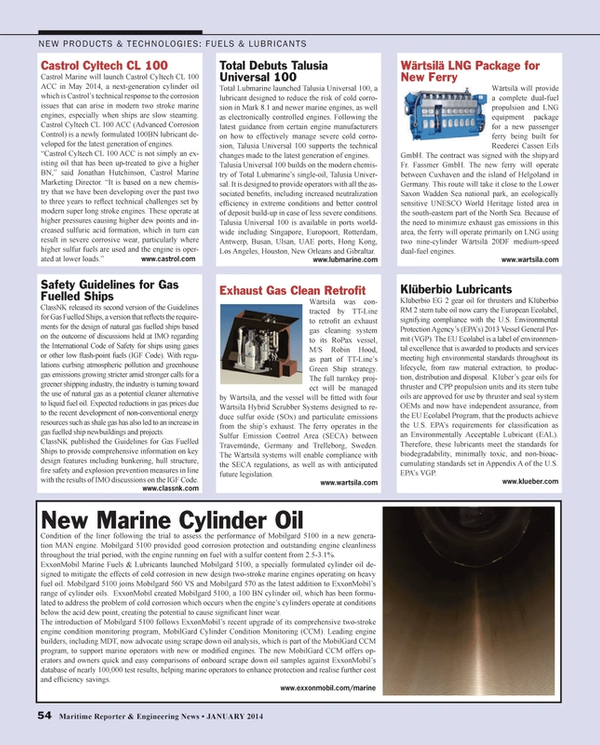 The introduction of Mobilgard 5100 follows ExxonMobil’s recent upgrade of its comprehensive two-stroke engine condition monitoring program, MobilGard Cylinder Condition Monitoring (CCM). Leading engine builders, including MDT, now advocate using scrape down oil analysis, which is part of the MobilGard CCM program, to support marine operators with new or modified engines. The new MobilGard CCM offers operators and owners quick and easy comparisons of onboard scrape down oil samples against ExxonMobil’s database of nearly 100,000 test results, helping marine operators to enhance protection and realise further cost and efficiency savings.